In 2014, we published a study that found that 1 in 170 deaths in 2010 was related to opioids, and that this varied by age. 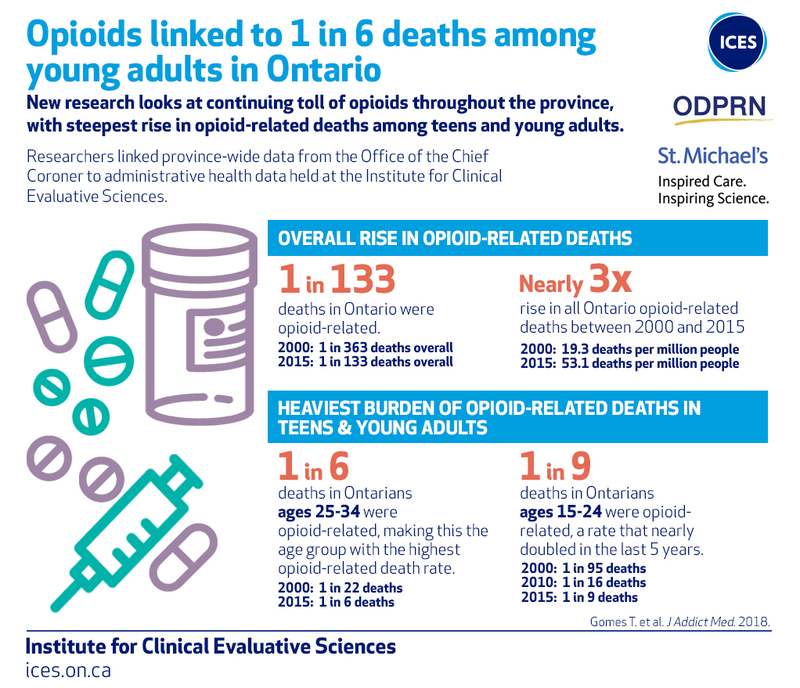 Given the shifting opioid landscape across Canada, we sought to update this analysis to quantify the burden of opioid-related death in Ontario between 2000 and 2015. We found that 1 of every 133 deaths in Ontario in 2015 were opioid-related, and that this burden was highest among young adults, in whom 1 of every 6 deaths was opioid-related.